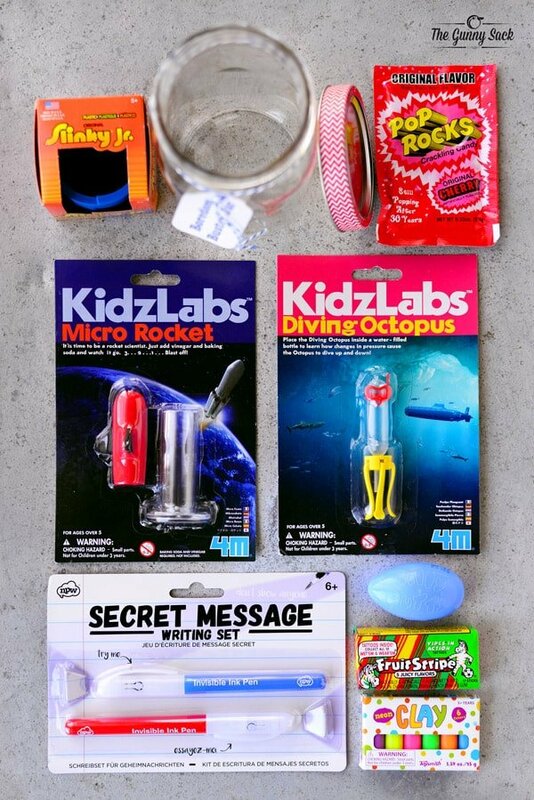 A Boredom Buster Jar is filled with fun toys, games, and treats. Keep kids busy with this mason jar gift. 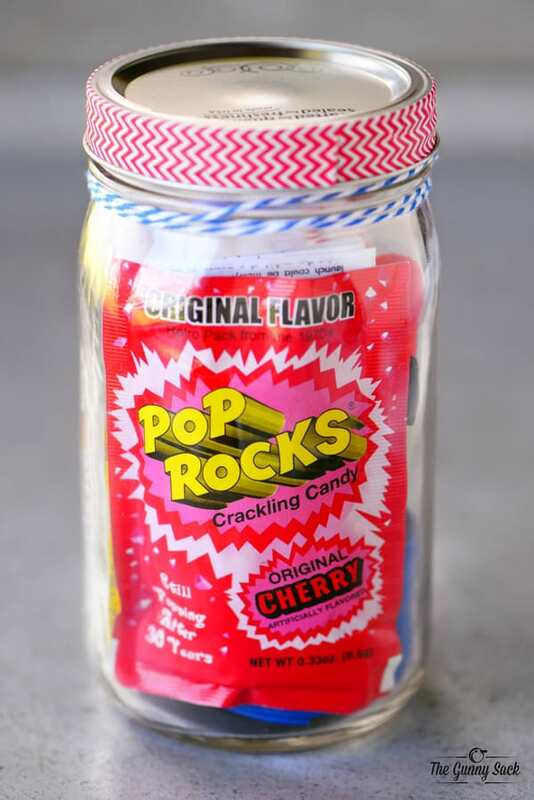 Today’s mason jar gift idea is for the kiddos! 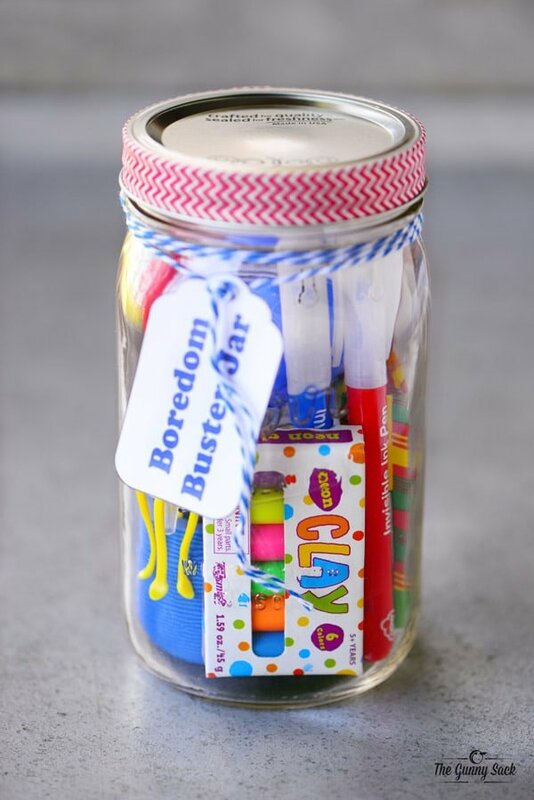 Next time you hear the dreaded words “Mom, I’m Bored!” you can hand over this Boredom Buster Jar filled with fun activities and a few treats too. 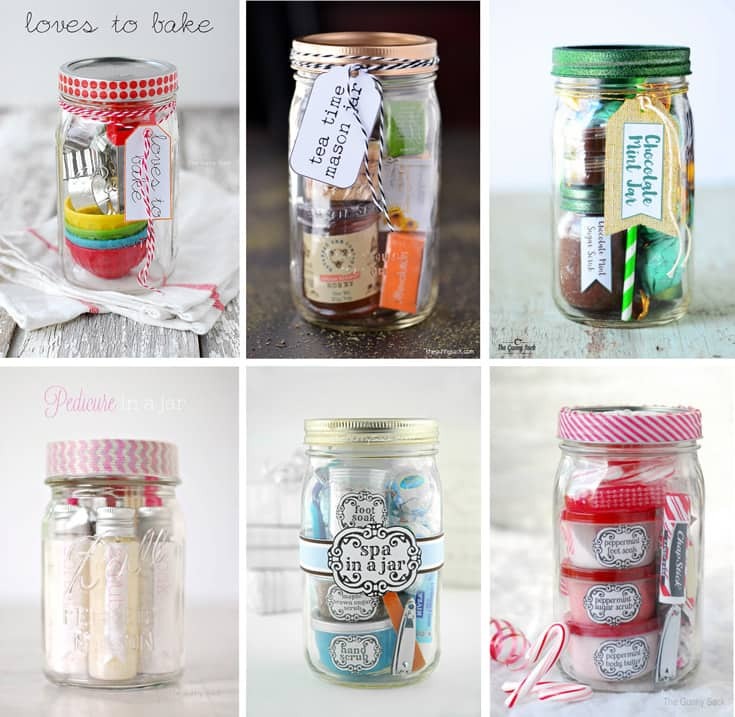 Assemble several of these jars to keep the kids busy on Thanksgiving or during Christmas break. 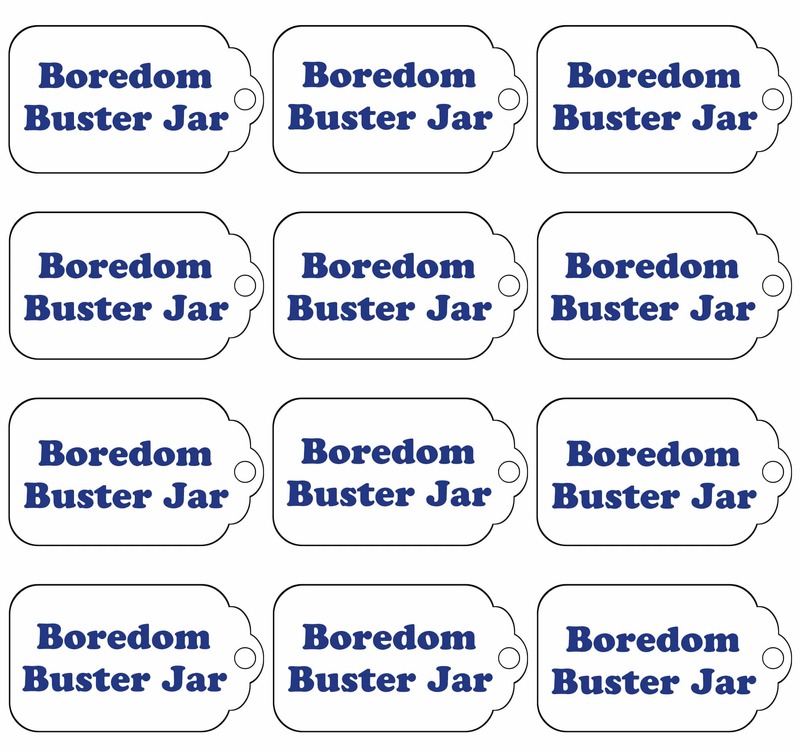 These Boredom Buster Jars would be a fun gift to give kids for birthdays or holidays. I’ve added links to the items in the jar above but another option for finding small toys would be to look at World Market, Party City or a kid’s toy store. Remove the toys from their packages. Either cut the instructions off of the back of the packages and put them in the jar. Or make a copy of the instructions, print them out on one sheet, fold it up and add it to the jar. 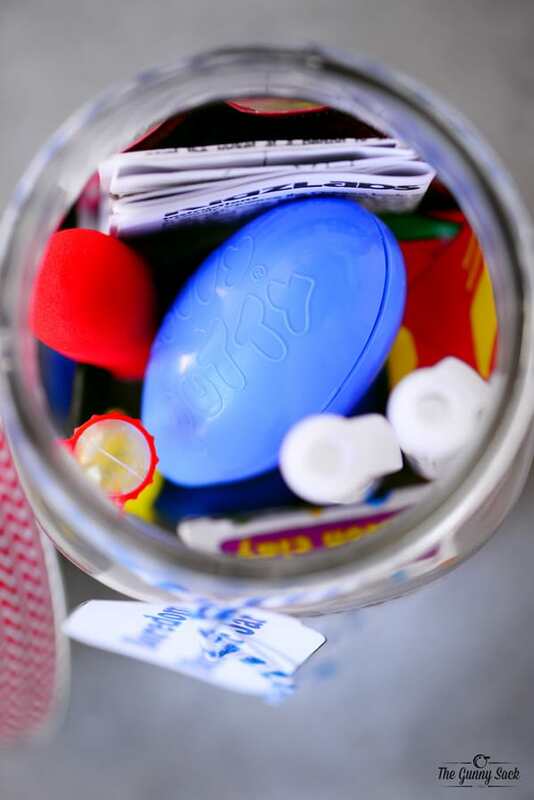 Slowly add all of the toys and treats to the jar with the labels facing outward so that the kids can see what is in the jar at a glance. It might take a little readjusting to make everything fit. 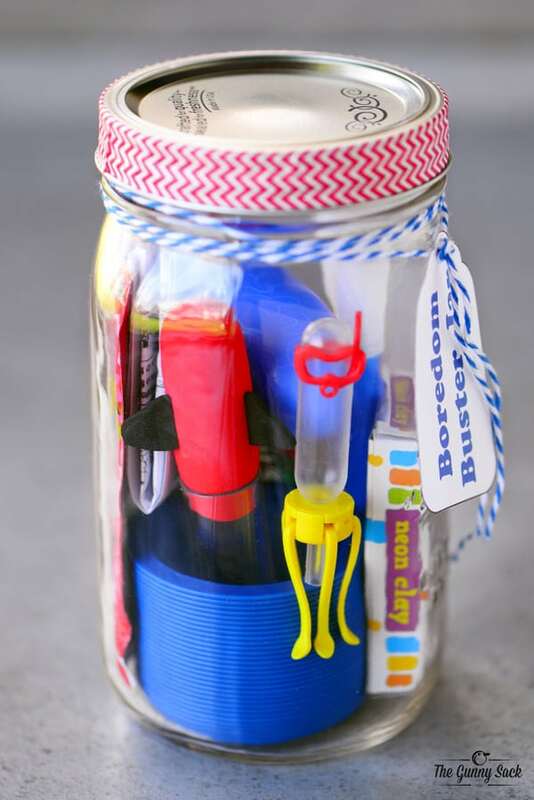 This Boredom Buster Jar is a fun way to keep kids toys all in one place. 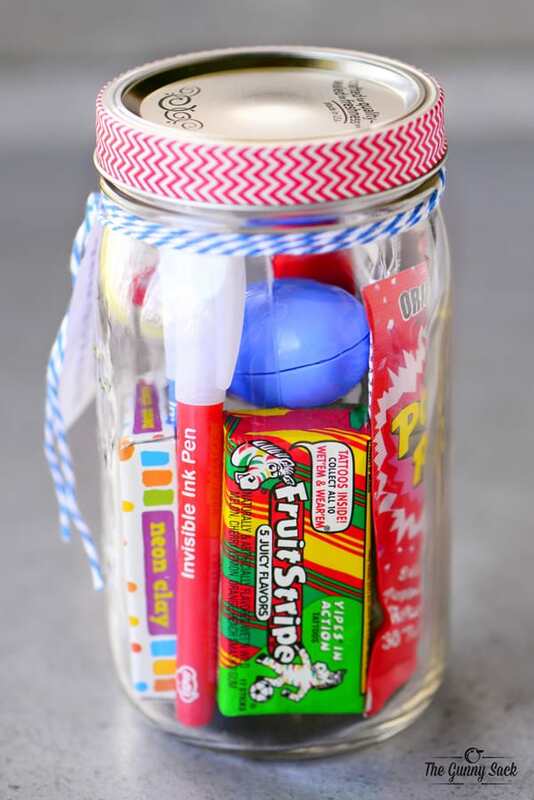 Bring this mason jar gift on a road trip to keep kids busy in the car, at a hotel or at grandma’s house. You could put together several versions and keep them on hand whenever you need a boredom buster.